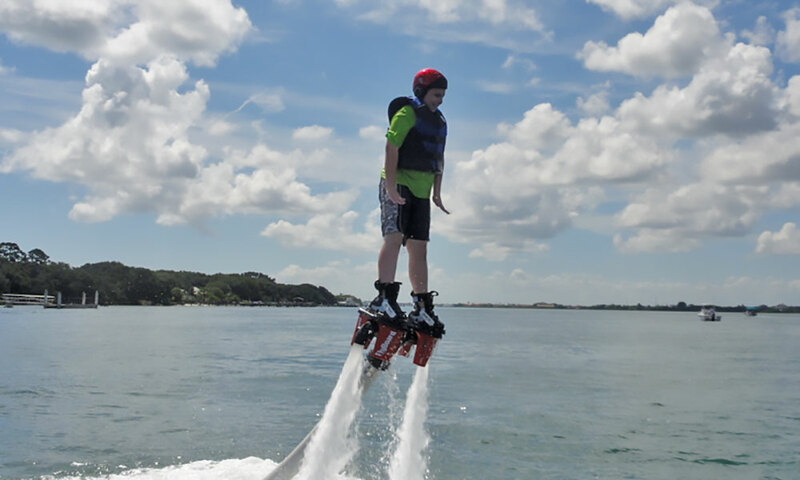 St. Augustine's Extreme Water Adventures offers flyboarding tours for visitors and locals who are looking for something new and exciting to do on the water. A flyboard is a water jetpack attached to a Jet Ski. 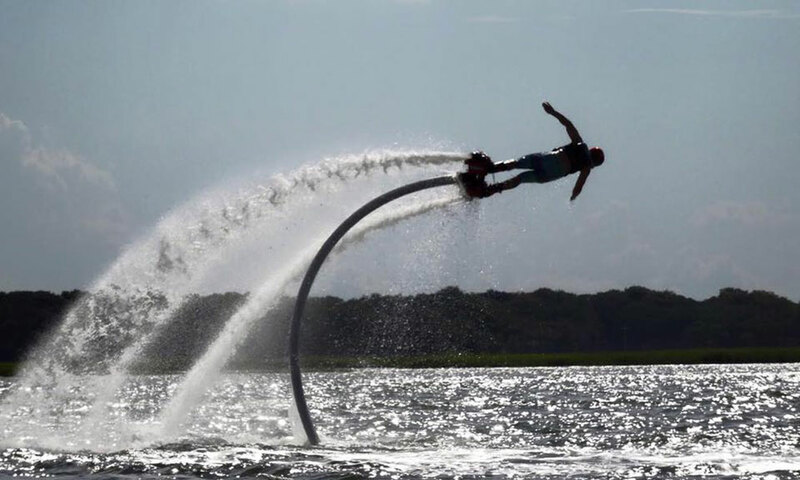 Flyboard riders stand on a board connected to the Jet Ski by a hose. The power of the Jet Ski’s engine allows flyboard riders to hover up to 15 feet above the water’s surface, where they can perform acrobatic maneuvers and even dive underwater. Operating out of Camachee Cove in Vilano Beach, Extreme Water Adventures provides complete training and a safety presentation for first-time flyers. 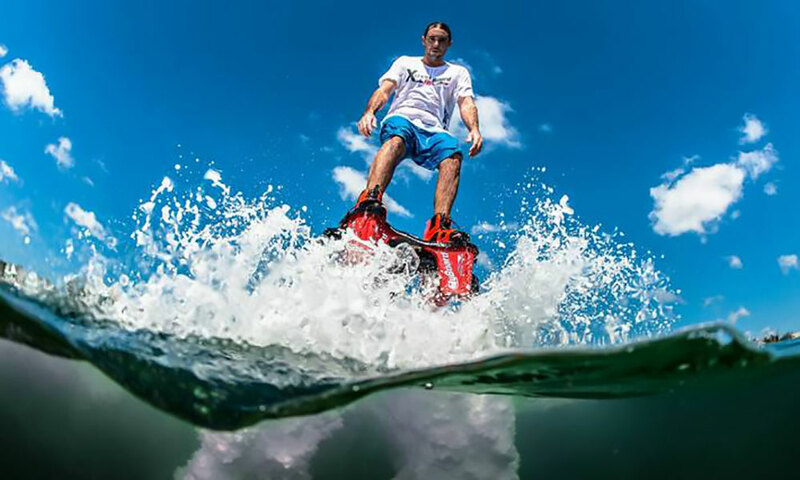 All their tours take place under the supervision of a Certified Flyboard Instructor. 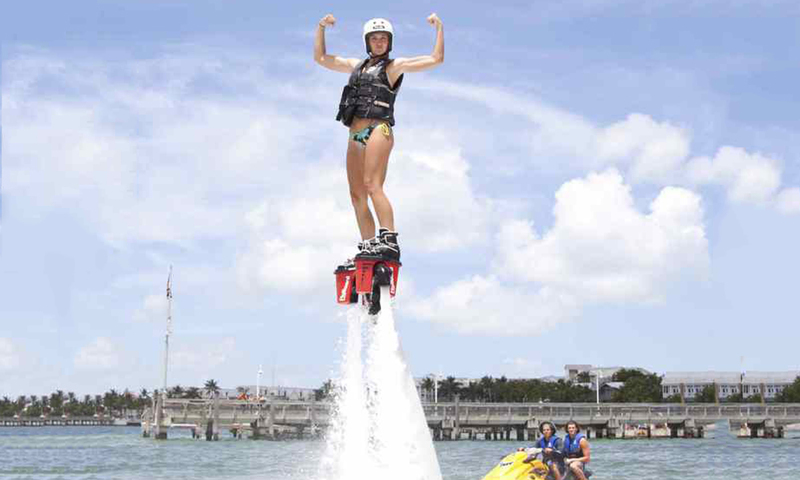 Extreme Water Adventures offers flyboarding sessions for individuals and for groups of up to 20 people. Call (904) 945-6576 or visit here for more information and to book a tour. Be the first to Review Extreme Water Adventures!